The graph above presents the public opinion on NBC's Olympic Games coverage in the United States in 2012. Among the 799 respondents, five percent rated the coverage as poor. 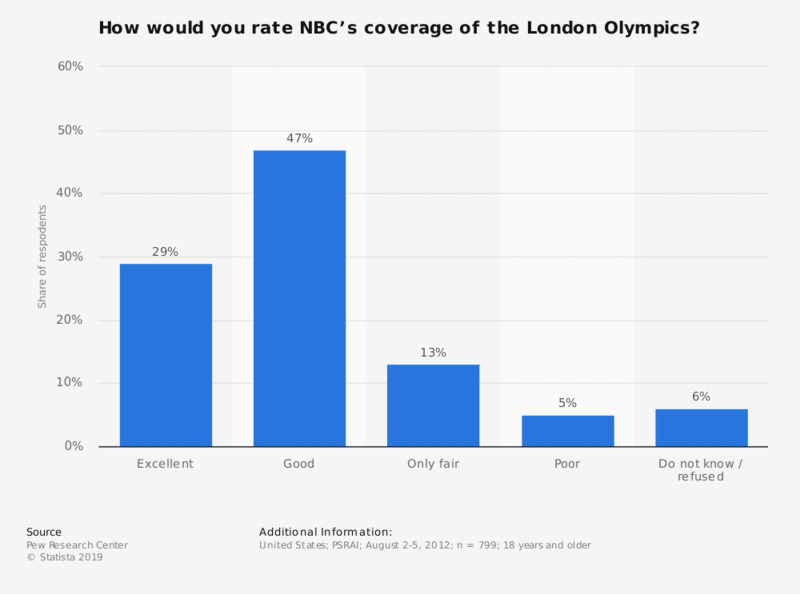 The original question posed by the source was: "Overall, how would you rate NBC’s coverage of the London Olympics? Would you say the coverage has been excellent, good, only fair, or poor?" Interviews were conducted in English. Will you purchase a new device to follow the Olympic Summer Games? Have you done any of the following in connection to the London 2012 Olympic and Paralympic games?